There is no doubt that the search engines will continue to alter their algorithms to offer the best search experience for its users. If you’re a serious internet marketer or a passionate blogger, then you might be aware that the search engines have started to put less weight to keywords and giving more importance on quality content. Yes, the keyword-based SEO is steadily vanishing. I’m not saying that the keywords have no value rather I want to say that the link between keywords and search visibility has become more complex. Where you’re placing the keywords? Are you paying attention to semantic keyword? Do you use LSI keywords and long tail keywords in your content? These are some of the valuable questions I wanna ask to you. Try to answer my questions after reading the post. 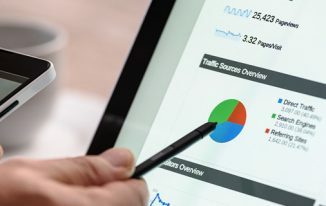 Gone are the days that the Google gathered data about your blog/website from the keywords listed on the pages and links. Yeah, this black hat practise has no more value and thus you need to follow some modern keyword research to good get good SERP. I’ve decided to list some tools to find the most searched keywords for your business/blog. But before that, let’s have a brief look on how to do keyword research in an effective manner. To make legitimate online income through any genuine way, doing keyword research is more important. If you’re puzzling with the questions like “How to find keywords?” or “How to do keyword research?”, my below brief explanation would help you to find keywords to rank better on search engines. First decide the most important topics that you’d like your website/blog to rank for and try to get 8-10 relevant words. Go to your preferred SEO keyword generator tool listed below and feed the chosen topics. Here comes the most critical part of keyword research. Yes, you have to find LSI (Latent Semantic Indexing) keywords for your long tail keywords. It’s somewhat like adding synonyms or related keywords to the main keywords. Google and other search engines became smarter and if they understand your content better, your SERP would be better. Finally do on-page SEO by naturally inserting the selected long tail keywords and LSI keywords to your content to boost organic traffic. Here are my top pick tools to grab most searched keywords for your blog/business website. No one can forget the Google Keyword tool but it has been killed by Google. For compensation, Google introduced Google Keyword Planner and new features have added to it by last year. It is one the top keyword research tools used by most of the online businesses. You can make broad keyword research here and can use multiple keywords to get new keyword ideas. Google Keyword Planner effectively organizes the keywords as it divides them up into suggested Ad Groups. You can have a customized search and filter out the keywords for a specific search volume. To use this SEO keyword tool, you need to log into your Google account. I’d say that it is the best keyword research tool. I’m using the free trial version of Long Tail Pro. It’s an amazing software to pre-filter the keywords and can generate up to 800 results per seed word. I wanna notify its exciting features like searching multiple keywords at once, giving detailed competitor analysis on top 10 Google results and finding domains automatically. As it is possible to calculate the keyword competitiveness for every keyword, and save & import lists of keywords with its pro version, I’m planning to buy its Pro + Platinum version which costs about $97 + $17 monthly subscription. 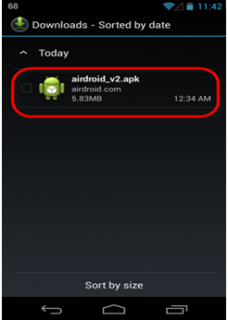 To run Long Tail Pro, Adobe Air should be installed on your PC. You can find profitable keywords faster than ever before with this keyword generator tool. As a result, you can easily get targeted traffic to your webpage. I’d personally recommend this powerful keyword research software to perform better on search engines. Keyword Discovery is an upright tool to find the most searched keywords with which you could target the relevant keywords. As it complies the keyword search statistics from the most important search engines, it is more likely to discover the top keywords related to your niche/website with this best keyword tool. Grabbing the search terms that drive traffic to your competitors is one of the most excellent features of this advanced keyword research tool. You may use the trial version of keyword discovery for free or their premiums pack to get more features. Finding the profitable keywords and outranking the competitors are the basic requirements of every online business. These necessities can be easily achieved by SpyFu. Since it reveals your competitor’s secret formula of search marketing, you can increase your web traffic effortlessly. Not only these, you can monitor your keyword ranking on major search engines and drop bad keywords with this excellent keyword research tool. Analyzing the competitors is a big part of keyword research and you could do this essential SEO task with SpyFu. To download the profitable keywords of your opponent, you need to pay $79 to this tool on monthly basis. To improve your search marketing efforts, you may opt keyword discovery tool from WordStream. It can provide the essential benefits to your search engine marketing campaigns by determining the keywords quickly. You could drive more relevant traffic to your blog/website through its great features. Apart from the keyword suggestion tools, WordStream offers keyword grouping tools to find profitable keywords for your niche. With this smart keyword discovery tool, you can find relevant & specific keywords, lower CPCs and increase conversion rates. This keyword density checker is available in both free and paid version. If you’re looking for a guaranteed tool to increase your organic search traffic, you may go with Hit Tail. By focusing on the most promising organic keywords in your current traffic, you could drive targeted search visitors to your blog/website. This amazing keyword research tool was launched in the year 2006 which can be used to maximize your SEO and marketing campaigns to extend your reach. Hit Tail has different pricing plans like Personal, Pro, Business and Agency where you should pay on monthly basis. Keyword Spy is one of the widely used tools to find out the most searched keywords linked with your webpage/blog. Discovering the competitors & their keywords, finding lucrative keyword & ad copy combinations to build a profitable keyword list and searching in advanced mode are some of the chores that can carried out with this keyword density tool. From its massive database and powerful searching options, you can get related and similar terms & phrases. But this keyword generator is now operating in few countries only and those nation state people can try with their train version for free. UberSuggest is the free keyword suggestion tool that instantly suggests thousands of keyword ideas from your queries. 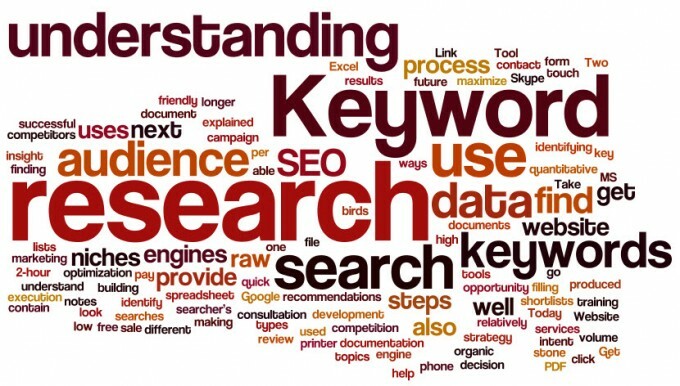 To do keyword researching, it takes your base term and adds letters & digits to it, to offer a range of top keywords. From the result, you may click on each keyword to get further suggestion based on that term. 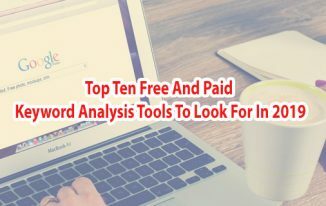 You may use this keyword search tool free to get inspiration for your blog posts or PPC campaigns optimization. If you’re looking for a fast and no-nonsense keyword researcher, Keyword Eye is the best preference to help with your PPC and SEO campaigns. With its simplified keyword research and unique visual approach, it is possible to implement keyword brainstorming which would let you to gather top ranking searches and trending pages. Keyword Eye is a cool tool with great features to search keywords and interpret in many ways. Its free plan has limited options but if you go for its pro version, you’ll get some extra features like unlimited keyword researches, 400 keyword suggestions per report and much more. SEMRush is the most advanced SEO keyword research tool created by SEO/SEM professionals. You could get accurate, customized and massive amount of SERP data for millions of keywords. With this effective keyword analysis tool, comprehensive data about landing URLs, Adwords Ad copies, organic domain positions and keyword search volumes can be obtained. It is the best software to perform competitor keyword research and thus you could boost your organic traffic with ease. Smooth grabbing of high CPC keywords, spying the competitors, quick finding of high search volume keywords are the salient features of SEM Rush. It has three different pricing plans as monthly subscription and you can use its trail version for limited days. An effective keyword generator tool is offered by SEO Book. You’ll be allowed to generate a huge number of keyword phrases based on your keywords permutations. It is practicable to store the results and get CSV output. This free keyword phrase generation tool gives permission to toggle a keyword box on or off. With this keyword finder, you can also generate any combination of the three matching options and move a keyword box up or down in the order. This keyword tool is completely free to use. SECockpit offers a powerful keyword research tool which allows you to hit upon the related keywords based on your present top ten competitors. Many search engine experts, freelancers and entrepreneurs are using this vibrant tool to get most searched keywords, multiple tracked search terms and so on. It is a web-based keyword research tool and thus no installation is needed. If you’d like to do faster keyword research and undergo effective traffic strategy, SeCockpit is the finest option as it runs in the cloud and can access massive amounts of processing power. Finding the most valuable keywords in just seconds is its striking feature and you could adore its superior keyword analysis data. You may start using its 30 days risk-free account for free of cost. WordTracker is an excellent keyword search volume tool which reveals high-performing keywords in minutes. With this top external keyword tool, you can easily attract targeted and gainful traffic to your website/blog. As it is trusted by SEO professionals and digital marketers, you can boost your search engine ranking with no doubt. If you wanna double your profits and save time, you may make use of WordTracker, most authoritative keywords tool on the web. This keyword tool planner comes with world-class support with 7-days free trial version. Displaying comprehensive reports to analyze the potential markets is a notable feature of Market Samurai. So, you can greatly reduce people leaving your site with this stunning keyword competition tool. You may download the free copy of Market Samurai to find exact keywords with overwhelming accuracy. FreshKey is another powerful keyword analyzer that should be added in the list of tools to find the most searched keywords. Like Longtailpro, it is an Adobe AIR desktop application which works on both Mac and PC. With Freshkey keyword optimization tool, you can search keyword data to get concealed buyer keywords, corner your market, expand the product line and create the lead magnet in a perfect way. FreshKey comes with 3 licences on purchase of its premium version and hence you may install this keyword research software in 3 different computers. To get instant access, you need to pay the onetime fee of $49.95. Below are some of the unsurpassed tools to find the top keywords related to you niche. I’ve read few articles saying that the SEO keyword techniques are dead but I’d say that the keyword research is the market research to understand what your audience is looking for. No matter with the changes in search engine algorithm, researching the keywords stays an important part of SEO. Though keyword research and their placement within content don’t guarantee the top search rankings but its good to place most searched keywords in your content. Some content writer and bloggers thinks that the keyword research would kill their creativity. I agree with their opinion! Do you think the same? If you feel so, here is my helpful suggestion. Start fleshing out the ideas in 1-2 paragraphs on the chosen topic. Then go to your favourite keyword research tool and feed your main Keyword. Pick the terms with good search volume and check whether they will make sense to add in the content. Don’t spend too much of time to find out the keywords, just note down 3-4 terms, go back to your post and continue to write with the chosen keywords. As I specified early, including LSI keywords at exact place is more important to get love from search engines. You might get bored with my explanation to keyword research importance, but I have one thing to conclude. If you neglect the importance of keyword research, your time and money will easily get drained. I’ve just shared my knowledge on importance of doing keyword research with some tools to find out the mostly searched keywords. Now, it’s time to know your views. What is your opinion about the above discussed keyword research tools? Which tool do you use to find the top keywords? My comment section is waiting to accept your valuable comments. Thanks for the Tools really useful! Yes indeed, the key is to write using long tail, and being writers and bloggers, if we need a little traffic, you cannot ignore keywords from your posts. I agree that the creativity and flow of words doesn’t really come up if you only think of keywords or where and how to insert the long tail ones in your posts. But as you mentioned, you could writer your posts and later tweak it to add whatever you have researched. Using variation is the key nowadays, and what really works or doesn’t work is something up to Google…lol…for it’s always changing it’s ways. I guess it makes sense to be just natural in your words and write posts that helps people, of course you also need to add the basic keywords and do a little bit of SEO and leave it at that. Nice list of research tools, though as I mentioned earlier – I just stick to the one and only Google Keyword – the Adwords, nothing else. Thanks for stopping by. Yes, when you think of keywords, you cannot write in natural way especially when you are using short tail keywords. When you use long tail keywords, you can maintain your writing flow to a greater extent. But if you are targeting search traffic, you simply cannot ignore keyword research. Write for readers is the main thing but keeping SEO in mind a little is important. As you specified, keyword placement is really important and yes, the synonyms of main keywords should be added in the content. Some people believe that the keywords inclusion has no value but I don’t accept that. There should be some algorithm for search engines to rank the websites/blogs and presence of keywords is one among them. In my earlier days of blogging, I’ve written the posts without doing keyword research (I just wrote what I know), So I struggled to get traffic. Once I understood its exact importance and how to utilize the keywords in the posts, I’ve started getting decent amount of visitors for my blog posts. Recently, I bought Long Tail Pro paid version and its an exceptional tool to find out the rankable keywords. I’m using it effectively and planning to edit the posts with that. Thanks for coming by Nirmala. Knowing how to place the best keywords in your article in a natural way is the real art which you need after you are done researching the keywords. Thus, Keyword research is important but placement is equally important. I am glad that you know many tools already and using LTP. Thats nice.! This is heck of a great list or a resource we can say. I loved the way these tools work and would look forward to using them in my daily blogging works. Long tail keywords are very potential keywords worth concentrating on. You can actaully rank for long tail keywords easily and sometimes long tail keywords we haven’t focused at all gives us a chunk of traffic. SO I would say go for long tail keywords. Market samurai is good and is a great tool recommended by many probloggers like Ana Hoffman. I am using the free ones now but in case I intend to buy a premium service market samurai would be my chioce. Uber suggest is awesome. I mean you can get possibly thousands of keywords and topics you can right on. I like the way it displays options alphabetically. And then you can choose the catagory you like. Hubspot is good I have used it but after certain usage it becomes repitative It is not useful for long run. Once in a way is okay. Thank you so much for reading the post and sharing your awesome comment here. Yes, keyword research is something you cannot ignore if you are thinking to grab organic traffic. Nice article indeed. I am using google keyword planner for a long time and it is pretty good and providing me best ideas for keyword selection. 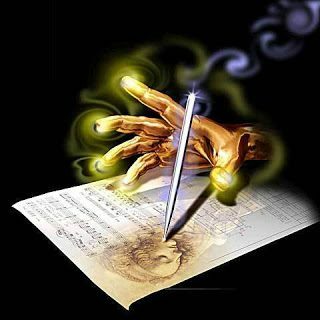 In place of simple “Thank you” I would love to use some of these tools to check the most searched keywords and accordingly love to write some good post for my website. The same will also apply to find out niche WordPress themes people love to use on their blog. Thank you Rakesh bro for coming by. Try out a few out of the list and let me know your experience. That’s an informative post Atish. You have listed a good collection of keyword research tools here. Keyword research is one of the crucial aspects in blogging. 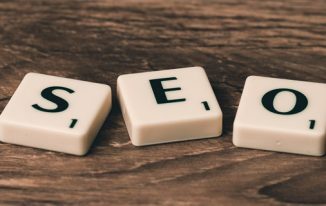 I neglected it for quite a while (during my first year) – when I started doing it, I saw remarkable improvement in my blog’s search engine visibility. Most people shy away from doing keyword research (and on-page optimization) thinking that they might sound like writing for search engines. It need not be the case. One can still optimize the posts for search engines while writing for people. I used to use a combination of keyword research tools in the past. But now I use only Semrush – it is quite an advanced tool and I use it for a lot other things than mere keyword research! Focusing on SEO aspect is not bad. Giving value to readers is good and that should be the priority but we you cannot miss out search engines as organic traffic is the most money making traffic. Yes, SEMrush is cool, I don’t use it but one of my friend is using it and he is quite happy with it. Thanks for coming by Jane. This is hell of an extraordinary rundown or an asset we can say. I cherished the way these devices work and would anticipate utilizing them as a part of my every day blogging works. Long tail essential words are exceptionally potential catchphrases worth focusing on. You can actaully rank for long tail catchphrases effortlessly and in some cases long tail decisive words we haven’t centered at all provides for us a piece of movement. SO I would say strive for long tail pivotal words. Glad you liked the post Murshed. Keep coming to my blog. Iftekhar Ahmed recently posted…What is Search Engine Optimization? Keyword research is a useful thing to boost both the post and get ranked well for it. And lots of bloggers use LSI keywords to rank on one or other keyword. I personally use Google Keyword Planner and Google trends to make sure I am using the updated keywords. I also tried other tools as well but find the GKP the best and trusted tool. Keywords are the most important ingredients of a blog post. It helps the post give it a basic boost for search rankings. Yes, Google’s tools are well enough. Glad you liked the post. Keep visiting. Keyword researching is perhaps the only way to increase website traffic from search engines. If you’re not doing keyword research, you are not going to get search traffic no matter what. It’s as simple as that. I personally use and recommend Keyword Planner and Moz tools to find the difficulty of keywords and I make sure to supplement my content with a nice combination of keywords. I won’t say that it is the only way to get search traffic rather I say this is the most basic step to get search rankings and thus search traffic. There are many more things which needs to be done. I am glad that you are already doing it right. Keep coming. Google keyword planner is best. I have been using it and have no complaints. But would surely check other tools you have mentioned. Very informative post. Thanks! Google’s keyword tool is great. Thank you for sharing such an important tools for us. It is really useful and hope I will try it very soon in my next research. Keyword research is the most important issue in online business and hope this will help me. After reading your post… I can say, one of the finest post on keywrod research tools. As per my knowledge, you have mentioned almost all the keyword research tools on the web. Some of them are really great and easy to use and outrank any competitor. Keyword is the first step for any business. Excellent list of Keywords tools. We were using only Google Adwords for keywords research and now on I will sure try out some of these new alternatives. As you ask we are using the long tail keywords, yet want to research more. Along with suggesting the tools you have said want supporting software need to be installed, really a great help and thanks for an educative article Ranjan. From my point best article ever about keyword research tools.